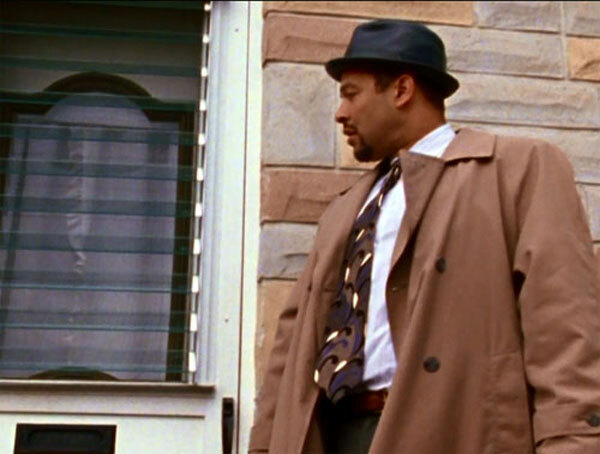 Greatest Series Finales - Homicide's "Forgive Us Our Trespasses"
This post was written for Sound on Sight, an excellent online spot for intelligent writing on film and television. Their spotlight this month is on the greatest TV series finales.You can check out the original post and the other great articles at this link. Homicide: Life on the Street was created as a show about “thinking cops” with actors who didn’t fit the typical mold for network TV. They were overweight, balding, and dressed like real cops. The landmark television series was highly influential and set the stage for captivating shows like The Wire and The Shield. 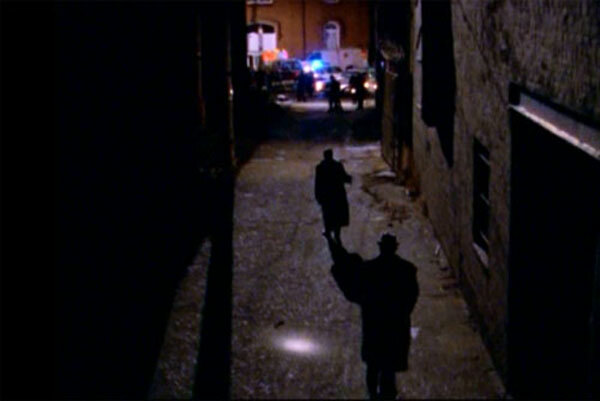 By the time it reached its seventh season, Homicide had changed dramatically from its original format. The basic model of investigating murders remained, but the cast was younger and prettier. Even so, original cast members Clark Johnson (Lewis), Kyle Secor (Bayliss), Yaphet Kotto (Giardello), and Richard Belzer (Munch) kept it from feeling too much like a departure. The final season was its most inconsistent and had low points that you wouldn’t expect. The killings were more sensational, and action scenes became more commonplace. Even with those misfires, there are still plenty of interesting story lines during the last episodes. Bayliss returns after a gunshot wound and has a more Zen outlook to life. This calmer approach is frequently tested, and it comes to a head by the finale. Giardello’s son Michael (Giancarlo Esposito) joins the squad and has issues to work out with his dad. Lewis loses faith in his partner Sheppard (Michael Michele) after she loses her gun and gets beaten down. The last arc is typical of this season and doesn’t totally work, but the actors sell the material. Even when the writing lets them down, the cast remains strong right up until the end. It’s that personal connection with the actors that has made Homicide so beloved 20 years after its premiere. Entitled “Forgive Us Our Trespasses”, the season finale has effective callbacks to both the pilot and key moments throughout the series. Bayliss deals with the limits of the job when the serial killer Luke Ryland (Benjamin Busch) is set free due to a technicality. He’s always gotten more personally involved in cases than his colleagues, and that approach creates a dangerous obsession if it isn’t controlled. 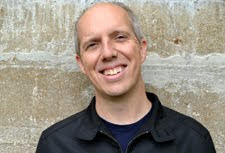 Ryland taunts Bayliss about his future activities, and he starts to reconsider if right and wrong is such a clear delineation. A counterpoint is Giardello, who loves running the Homicide Unit. This joy clashes with his career aspirations, so he finally decides to take a promotion into Property Crimes. Unlike Bayliss, he has no doubts about what they do. The detectives speak for those who can’t and face the demons that come with the job. His challenge is recognizing that moving up the ladder might destroy his identity as a cop. Creator Tom Fontana wrote this episode, which moves briskly to the poignant finale scene. That ending closely mirrors the show’s very first shots and uses the same line from Lewis while examining a body. “That’s what’s wrong with this job; it a’int got nothing to do with life.” Fontana gives the best moments to his original actors – Kyle Secor, Clark Johnson, and Richard Belzer. Munch is getting married to Billie Lou (Ellen McElduff), and the comic scenes are perfect for Belzer. He also thrives in the dramatic moments. Even without knowing for sure what happens to Ryland, it isn’t hard to discern who’s responsible. The key moment is Bayliss’ conversation with Munch about the police shooting from back in the third season. That violent moment was the first time the creators used a gun fight on the show. It helped to change the tone, but it also delivered powerful reactions from the characters. Bayliss was the investigator on that shooting, and his understanding of what likely happened plays a key role in his decision. Belzer plays the discussion perfectly and shows the difference between Munch and Bayliss. Avenging his fellow detectives was a no brainer for Munch, while Bayliss agonizes about his choice. Despite the issues with the seventh season, Homicide concludes on a very strong note. Its original mission statement to delve into the emotional turmoil faced by Homicide detectives remains in place. Watching an angry Bayliss decide what’s right perfectly fits with this perspective. As the camera lifts up to the sky during the final shot, it’s clear that these characters will continue to speak for the dead. Lewis and Munch are perfect examples of guys who have just the right mentality to face the evil inside everyone. Bayliss is a different type of guy and risks succumbing to his demons. The rapid montage of shots from throughout the series as Bayliss exits the stage is brilliant and exemplifies Homicide’s ultimate success. It’s a thankless job with incredible barriers, yet these guys keep plugging away to discover the truth. 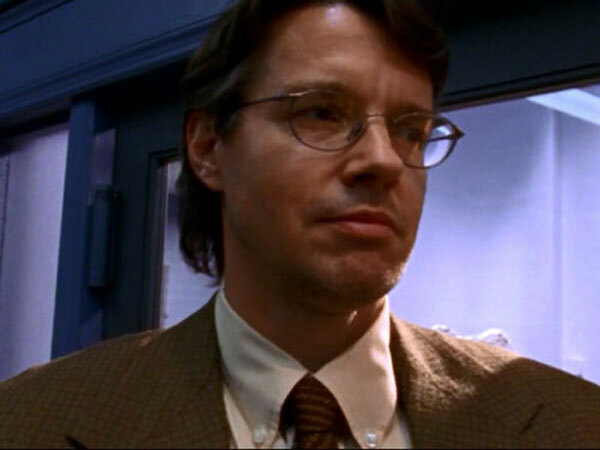 Homicide never had big ratings and was always on the verge of cancellation, but NBC recognized the benefit of airing such a critically acclaimed series. Even so, it was still surprising when they decided to present a two-hour movie continuing the story. The gimmick is bringing back all the main cast members from the entire seven-year run. It doesn’t completely work due to the huge number of actors to squeeze into the movie. Even so, seeing Bayliss and Frank Pembleton (Andre Braugher) together is a treat. Their chemistry as partners drove the show during its glory days. 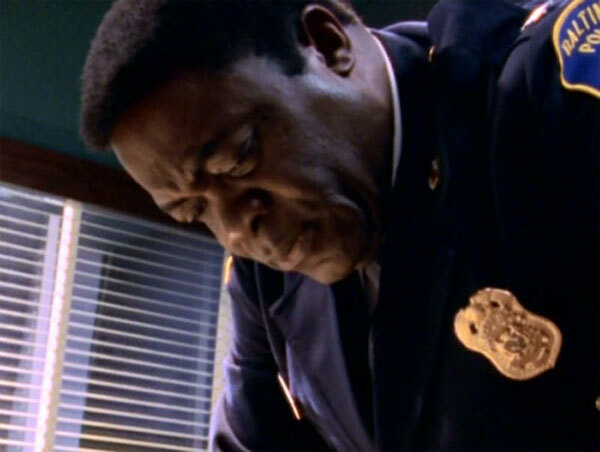 Bayliss’ actions in the finale are a weight on his soul, and Pembleton is the right choice for a confession. The movie is also worth seeing for the final scene, which brings back several dead characters. That moment strikes just the right note and justifies the existence of this film. It reunites old friends and is a remarkable gift to the show’s longtime fans.